In October 2016 Pickering Energy Solutions Completed the installation of solar panels on the roof of our church building, and on November 4, 2016, we began generating electricity for the church building. Plans are in the works to expand the array and connect to the RE Building next door. On November 21, 2014 we received official accreditation as a Green Sanctuary. Here is a copy of the letter from the UUA. 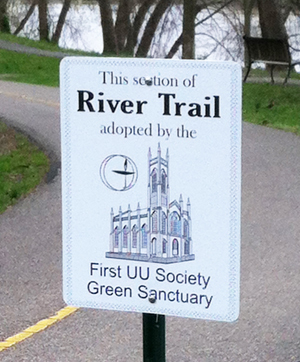 The First Unitarian Universalist Society of Marietta submitted an application to the Unitarian Universalist Association to become a candidate for official Green Sanctuary status. Regardless of that recognition, though, we have long had a commitment to the basic tenets of ecological sustainability. Activites undertaken to manifest our commitment to green living can be categorized in four broad areas: Sustainable Living, Environmental Education, Environmental Justice, and Congregation and Community Involvement. All GS activities are paid for through the sale of aluminum scrap (chiefly food and drink cans) collected weekly from congregants and others in the community. Recycling containers (sorted by type) have been placed in both buildings. This includes receptacles for batteries, used printer cartridges, and cell phones. Non-biodegradable waste is minimized through the banning of styrofoam, plastic and paper. 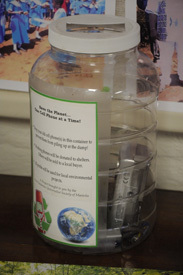 Instead, regular dishes, glasses and utensils are used and reused. Also, “Green” cleaning supplies acquired for kitchen and other cleaning and “Green-origin” toilet tissue & paper towels have been placed in kitchen and rest rooms. 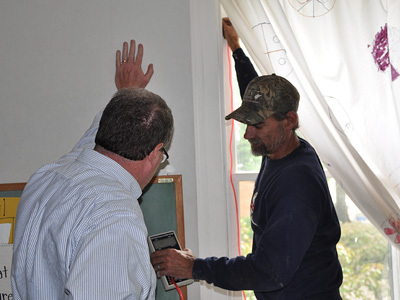 Install weather-stripping, insulation, programmable thermostats, and CFL lighting in both buildings. Caulk and Air Seal (Infiltration Reduction). Install Vapor Barrier in Basement. Caulk all windows with brown caulk to air seal. Insulate and weatherstrip attic hatch. Air seal with caulk and foam board and insulate above opening where attic floor meets arch window. Workshops on gardening (organic, composting, planting, soils, hydroponics, worms, and other topics) held at FUUSM Fellowship Hall, open to the community. Workshop on canning presented by two FUUSM members; open to the community. Hosting dinners for the congregation using locally grown food. Conducting seminars on ethical eating as part of Adult Religious Education. "Green” section added to FUUSM library in RE building. “Simply Green House” constructed with recycled materials and solar panels shown to intergenerational group. “Eco House” (small-scale demonstration of house constructed for sustainable energy) donated to the nursery. Visit arranged for BRIDGES (religious education program for all ages) participants to home of GS Committee member who has organically farmed for 33 years and lives in a self designed highly self sustaining and eco friendly home; nature hike included. Series on environmental education conducted as part of adult religious education. The Chair of FUUSM’s Social Justice Committee spoke with fourth-eighth graders in the BRIDGES (religious education) Program a couple of times about hunger and what people around the world eat, about how they might exhibit green habits in their personal lives, and green clothing choices. 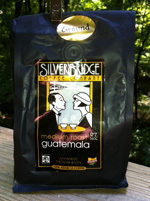 GS committee assumed sales of fair-trade coffee and an organic, locally processed and distributed brand most Sundays after services. FUUSM sponsored a showing of the film, Gasland, about environmental consequences of hydraulic fracturing techniques for extracting natural gas. Hydrofracking Interest Group initiated to educate about the practice of horizontal hydrofracking for extracting natural gas meets in Fellowship Hall regularly; FUUSM members in leadership roles. Co-sponsored a presentation of "The Last Mountain" movie about mountaintop removal coal mining with the local Quaker Friends. Presented the movie "An Inconvenient Truth" about climate change. Connections established with local and regional environmental groups including Marietta YMCA (community gardening), Friends of the Lower Muskingum River, and the Ohio Environmental Council. Annual participation in Marietta Earth Day with a tent focusing on various aspects of environmental issues. Established large plot on Harvest of Hope Community Garden as a model of organic gardening and contribution of fresh vegetables to local food pantries. "No-till" and organic gardening workshops conducted for the community. 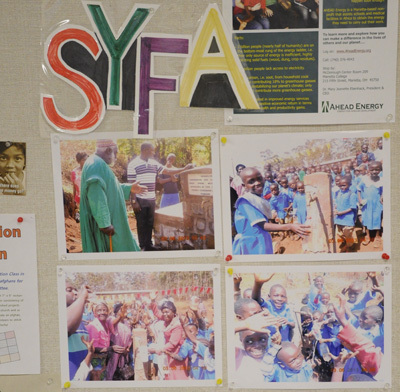 FUUSM established formal relationship with SYFA (Save Your Future Association), a project to support access to safe, potable, convenient water in north Cameroon, with leadership of FUUSM member who is former Peace Corps volunteer in that area; began fund raising for SYFA. "Adopt a Bikepath": Maintenance of a portion of the Marietta River Trail bikepath along the Muskingum River.